With women known to suffer serious health issues these days, men’s health concerns have taken a backseat. However, this year’s International Men’s Day brings the spotlight back on the health of this gender. Among the many health issues plaguing them, here are the six most common ones that men should not ignore. Breathlessness: Falling short of breath is a common complaint among men, and it indicates serious health concerns related to cardiovascular system. 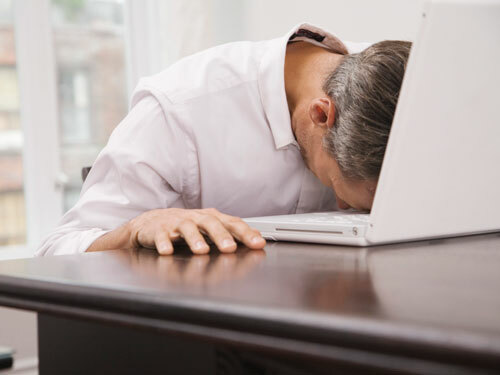 Fatigue: Men experience extreme tiredness and an ongoing lack of energy on a regular basis. In some cases it goes even further to include lack of motivation, negativity and lack of sleep. “Fatigue can also be a symptom of a more serious physical or psychological health condition. Cancer, congestive heart failure, diabetes, arthritis, infections, and kidney or liver disease are a few serious ailments that are linked to fatigue, which should not be ignored. It can also indicate the malfunctioning of the thyroid gland,” says Dr. PravinDehana, general physician. Depression: Statistics indicate that men are more prone to depression, the reason being men undergo a lot of stress — from a lot of expectations to fulfill for family and society. This leads to restlessness, stress and depression as they are not vocal about their problems. Memory loss: It’s not as simple as forgetting where you kept the cheque book or those important papers. Forgetfulness is more common in men than women. “Forgetfulness can be caused by age to some extent. Urinary crisis: Just like women, men also undergo genital issues which are largely ignored. Bloody urine or trouble in urinating among men is of serious concern, as it can be due to kidney and liver disorders. Do you take some serious steps for the health concern ?